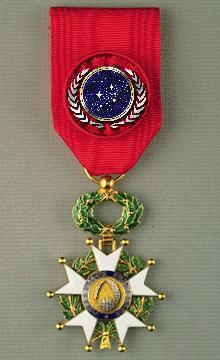 The highest decoration awarded by Starfleet Command and the United Federation of Planets, the President's Medal is awarded to Officers, Warrant Officer's and non-commissioned members of Starfleet for superior combat and non-combat services and devotion to duty whilst in service of the Federation. 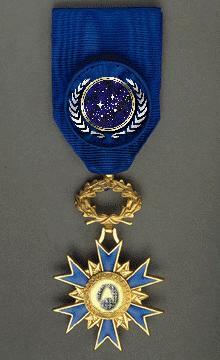 The second highest decoration awarded by Starfleet Command and the United Federation of Planets, the Starfleet Medal of Honor is given to individuals who show self-sacrifice, heroism, and courage despite extreme peril in the service of the United Federation of Planets. Because recipients re considered to be the embodiment of the highest ideals of the Federation, their descendants may automatically enter Starfleet Academy. 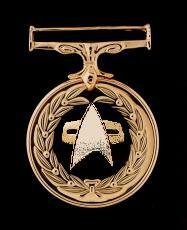 The third highest decoration awarded by Starfleet Command and the United Federation of Planets, the Starfleet Medal of Valor is awarded to individuals in peace or wartime for the actions beyond the call of duty. 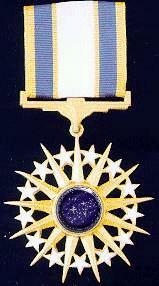 The Federation Star is awarded to a person who, while a member of Starfleet, distinguishes himself conspicuously by bravery and valor at the risk of his life above and beyond the call of duty while engaged in an action against an enemy of the Federation; while engaged in military operations involving conflict with an opposing foreign force. The deed performed must have been one of personal bravery or self-sacrifice so conspicuous as to clearly distinguish the individual above his comrades and must have involved risk of life. Incontestable proof of the performance of the service will be exacted. This is a very rare honor, and is often given posthumously. 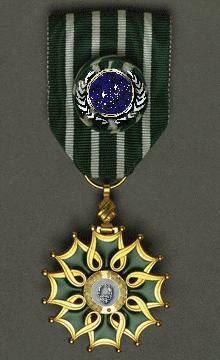 Awarded for extraordinary heroism, not justifying the award of a Federation Star, to any person who, while a member of Starfleet engaged in military operations involving conflict with an opposing foreign force against an enemy of the Federation. The act or acts of heroism must have been so notable and have involved risk of life so extraordinary as to set the individual apart from his or her comrades. Awarded to Officer's and Warrant Officer's for an act or acts of valor, courage or devotion to duty in active operations against an enemy. 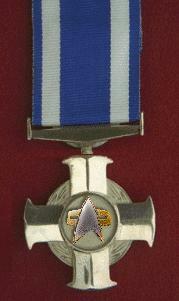 Awarded to Officers, Warrant Officer's and non-commissioned members of Starfleet who shall have distinguished themselves by exceptionally meritorious conduct in the performance of outstanding services". 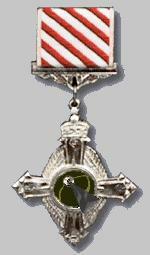 The Legion of Merit may be awarded for combat or non-combat services. 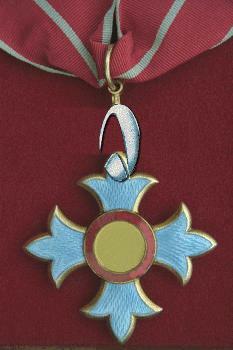 Justification of the award may accrue by virtue of exceptionally meritorious service in a succession of important positions. This is the highest Starfleet award for non-combat services. 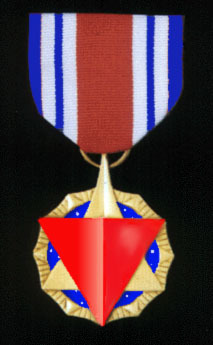 Awarded to Starfleet and Marines Officers, Commanders or below, including Warrant Officers (or equivalent), for meritorious or distinguished services before the enemy. Awarded to non-commissioned officers and men for an act or acts of exceptional valor, courage or devotion to duty, though not in active operations against the enemy. Awarded to Officers, Warrant Officers, and non-commissioned members of Starfleet and Starfleet Marines for acts of heroism in the defense of federation citizens and their property in which the recipient disregarded clear risk to personal safety.. 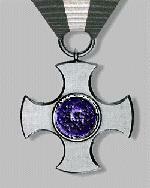 The Valor Cross is awarded to a person who, while serving in any capacity with Starfleet, distinguishes himself by bravery and valor above and beyond the call of duty while engaged in an action against an enemy of the Federation; while engaged in military operations involving conflict with an opposing foreign force. The deed performed must have been so conspicuous as to clearly distinguish the individual above his comrades. The required self-sacrifice, while of a lesser degree than that required for the Starfleet Cross, must nevertheless have been performed with marked distinction. Awarded to a member of Starfleet who has suffered major or permanent injuries while showing extraordinary courage in the fulfilling of his or her duties while defending the United Federation of Planets. Awarded to members of Starfleet who distinguished themselves by gallantry and intrepidity in action, but not of a nature to justify the award of the Valor Cross, while engaged in military operations involving conflict with an opposing foreign force. Awarded to Starfleet personnel for outstanding achievement or meritorious service rendered specifically on behalf of the Federation. 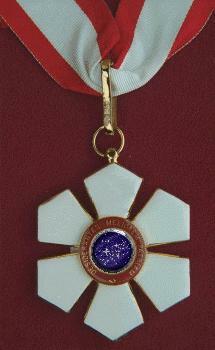 It may also be awarded for acts of heroism which do not meet the requirements for award of the Legion of Merit medal. Awarded to members of Starfleet who, while serving in any capacity with the Federation, shall have distinguished themselves by meritorious achievement and service. The degree of merit must be distinctive, though it need not be unique. 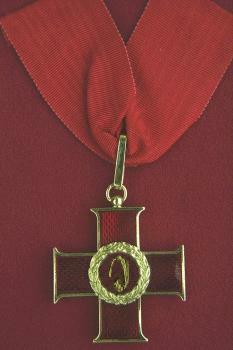 Acts of courage which do not involve the voluntary risk of life may be considered for the Commendation award. Awarded to any member of Starfleet who distinguishes themselves by either outstanding achievement or meritorious non-combat service to the Federation. Awarded to Officers, Warrant Officer's, and non-commissioned members of Starfleet and Starfleet Marines for demonstrated superior combat abilities whilst in active operations against the enemy. Awarded to Officers, Warrant Officer's, and non-commissioned members of Starfleet and Starfleet Marines who demonstrated superior skills over the course of a mission. Awarded to Officers, Warrant Officers, and non-commissioned members of Starfleet and Starfleet Marines who provided volunteer services to Starfleet Command and the United Federation of Planets above and beyond the normal participation of such member. 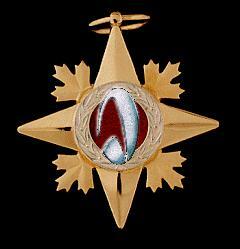 Awarded to Officers, Warrant Officer's, and non-commissioned members of Starfleet and Starfleet Marines with three distinct levels (red, silver and gold), this award is given to members who have demonstrated superior dedication to Starfleet Command and the United Federation of Planets.